Looking at Redwood City apartment rentals is a lot of fun, but it doesn’t compare to finding the right space and signing the lease. The thing to remember is that you should avoid getting too caught up in the moment. Step back and ask yourself a few questions before you provide the deposit and sign that lease. Here are a few examples of what to ask yourself. What Do I Really Think of the Floor Plan? How the unit is laid out is a major factor. Ideally, the layout should seem logical to you. Do you like the fact that the dining area is right off the kitchen, or that the living area happens to be just right for sitting on the sofa and watching the sun rise? When the floor plan is one that immediately seems perfect, you can bet that living in the apartment will be something you enjoy. Is There Enough Storage Space For Me? Take a good look at the number and size of the closets. Is the one in the bedroom large enough for your wardrobe. Is there another closet you can use for linens or for storing coats? In terms of kitchen storage, will the cabinets provide the space you need to arrange canned goods, packaged foods, cookware, and all the dishes? If so, then your search for the right one bedroom for rent has ended. Do I Like the Location as Much as the Apartment? It’s great that you like the apartment, but how about the location? While most people do spend more time indoors, it pays to live in an area that has at least some features you can enjoy. For example, are there sidewalks that make it easy to go on evening walks? Will you find getting to and from work to be easy? Perhaps the fact that there’s a park or a few places to shop less than five minutes away makes the location just as appealing as the unit. If so, you’ve found the right place to live. Can I See Myself Living There Five Years From Now? You eventually want to buy a home, but it will take time to save up enough for a deposit and pay down some of your debts. In the meantime, it would be nice to find a place to live and remain there until everything is ready for buying that house. Can you see yourself living in the apartment for the next five years? If so, the search is over. When the thought makes you hesitate, take that as a sign to keep looking. 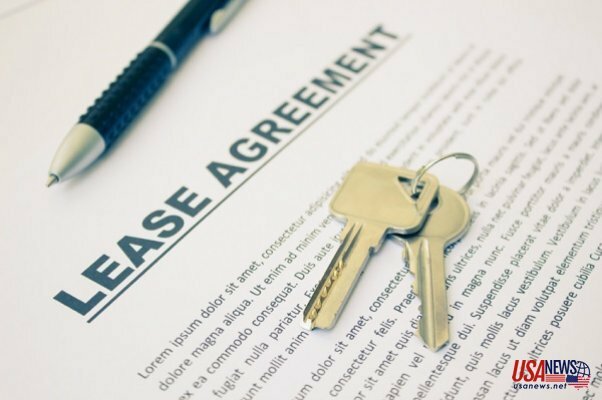 Signing a lease is a major commitment, even one that is only for a year. Before you sign anything, make sure that you really do like the apartment, the location, and the features that come with it. Doing so will ensure that your apartment truly does become a home.